Any post reblogged from this site must be acknowledged with a link back to this site. A short excerpt of content may be quoted as long as a link is provided back to the original page on this blog. In all instances of use the source and authorship must be properly attributed. We recommend that you telephone to confirm our availability if you are travelling any distance to visit. Don’t forget that we have recently migrated our blog to a new location. 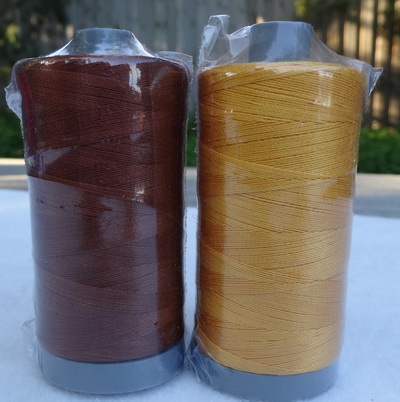 You can read our latest post at Always Thread Wise. This will be the last reminder that we will send so please choose to follow us on the new blog NOW so that you don’t miss anything in future. Have you noticed that we moved? 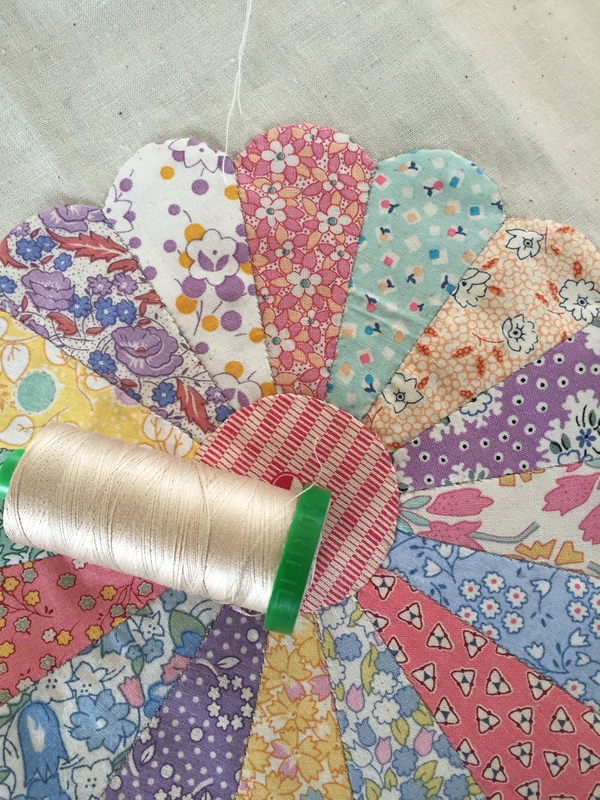 Apart from the occasional accident we will not be posting here so please join us at Always Thread Wise and keep up with our ideas and thoughts about patchwork, quilting and other textile related activities. 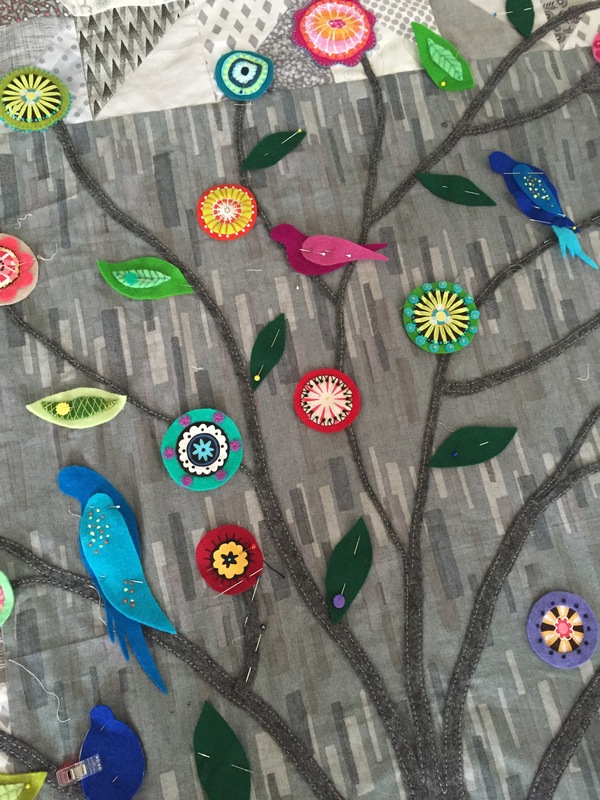 Quilters are always making quilts for others, sometimes for loved family members and dear friends, sometimes for charitable causes, and sometimes as commissions. 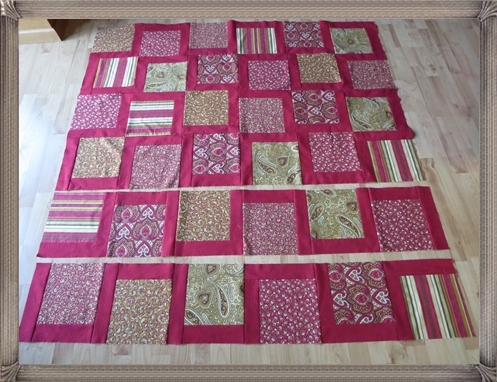 A couple of years ago I made a quilt for a young family member who was facing some traumatic experiences. Much love went into the quilt’s construction and after the quilt was with its new owner I decided to make a miniature version for myself. 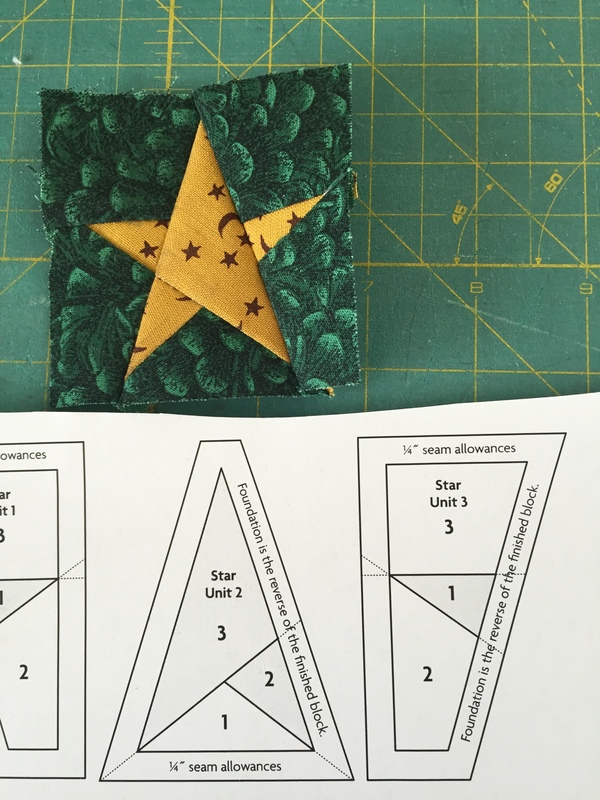 Not only does the mini quilt help to decorate a spot in my quilting studio, but it also serves to remind me of the person who received the full-size version. 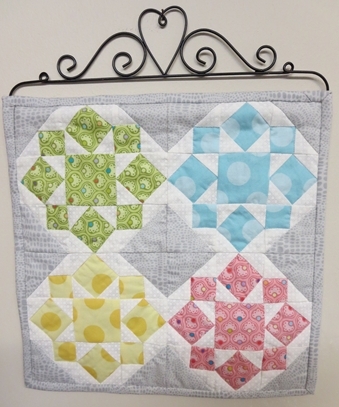 I made the miniature quilt from four mini-blocks, using four of the original feature fabrics, plus the white and grey background fabrics. 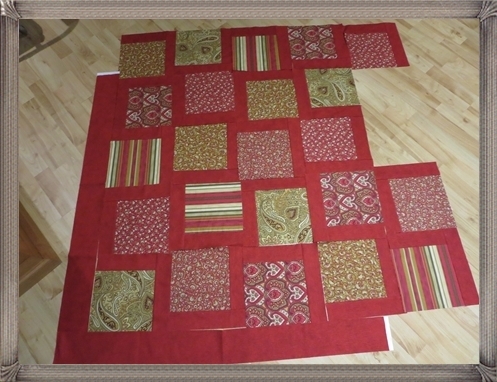 The mini blocks are 6 inches square, so the quilt measures 12 inches square. 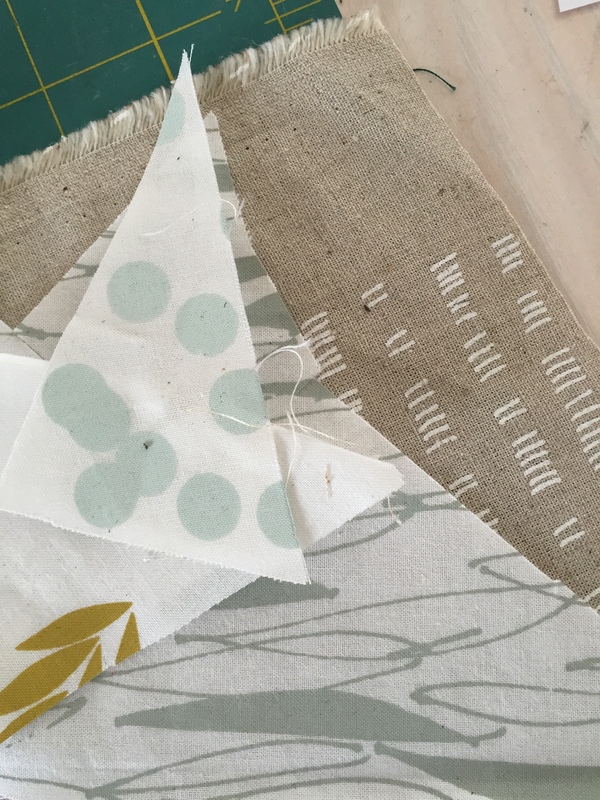 The large-size version was quilted with white thread (Aurifil Cotton Mako’ 40, colour 2024), but for the small quilt I chose a soft grey (Aurifil Cotton Mako’ 40, colour 2615) to tie in with the grey fabric I used on the back. My mini quilt is ready to hang. We were running out of space & it was time for a new look so our blog has migrated to a new location with a new name. 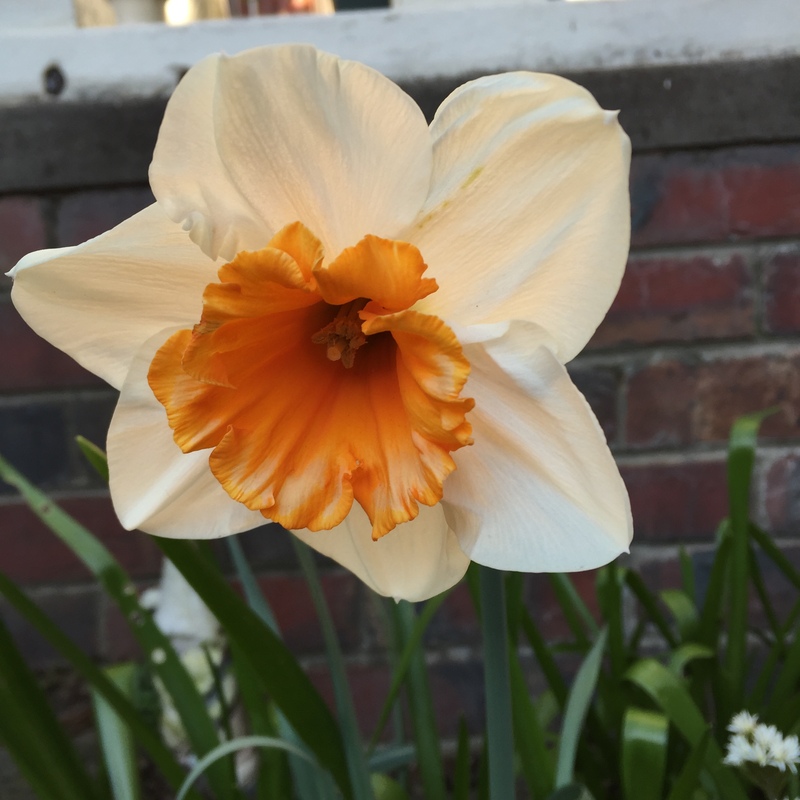 Please stop by and add us to your reading list or, even better, subscribe to receive an email when a new message is posted. 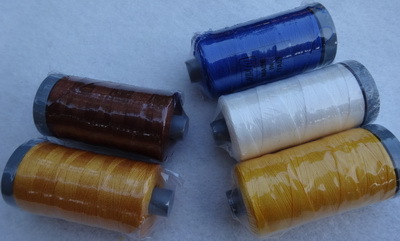 The blog will still be written by the staff at Always Thread, so it will continue to be a varied mix of projects and interests with special emphasis on our favourite Aurifil thread. 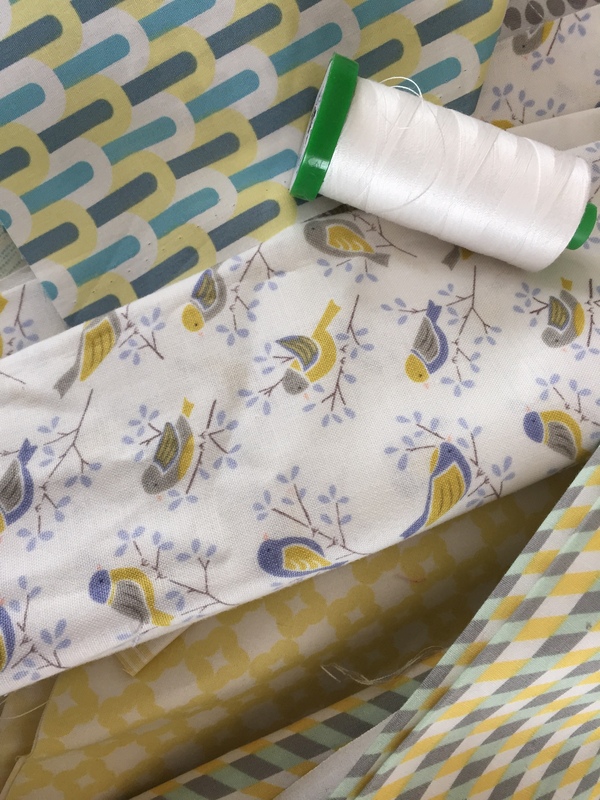 Are you quilting for a Hawk or an Eagle? I’ve lived in Victoria long enough to have become accustom to a public holiday for a horse race but one for a football game was a surprise. 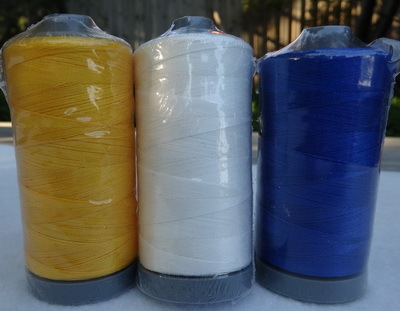 Now I am not a dedicated follower of the AFL so I am making the most of the day to play with thread …. 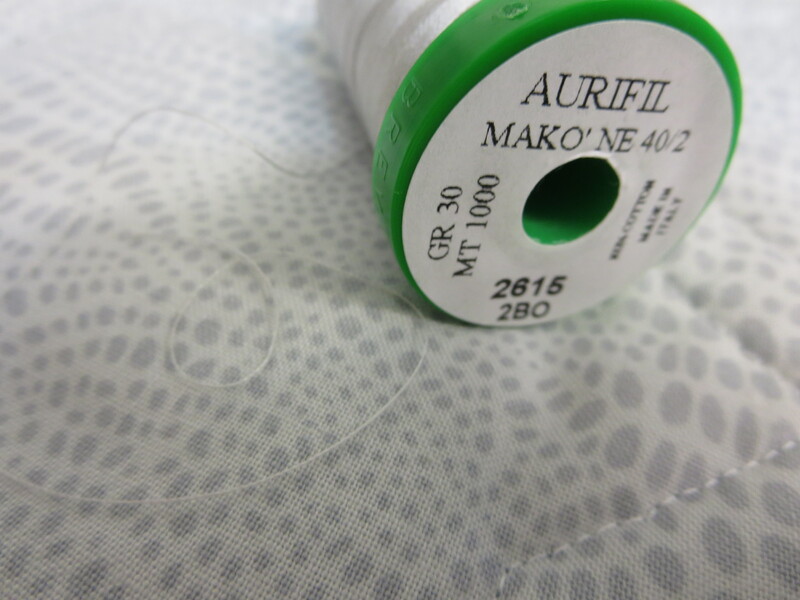 Aurifil of course and in particular Cotton Mako’ 28, our favourite quilting thread weight. 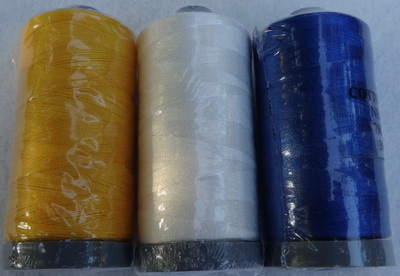 But some at Always Quilting are followers, so here is a test that they set up for the committed AFL spectator. So was that a Hawk? So hope you enjoy the game, and still find some time to quilt. 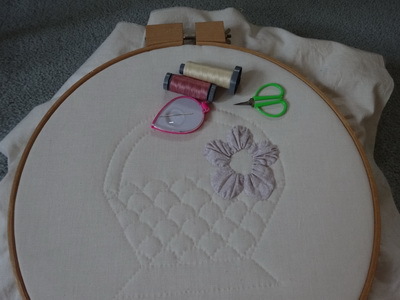 Most of the projects I make involve fairly intense hand work, such as needleturn applique and English paper piecing. Here’s one of my current projects. Even under “optimal conditions” (no housework, no paid employment, neglected hubby and family, and little sleep) such projects progress slowly. Much as I love this activity, it’s sometimes nice to have a change of pace and produce something that goes together more quickly and with less effort. I have recently made such a quilt. While distracted (i.e. 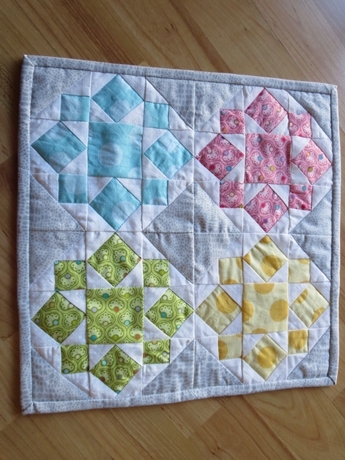 browsing on the internet) I saw a quilt which I thought had an interesting layout. 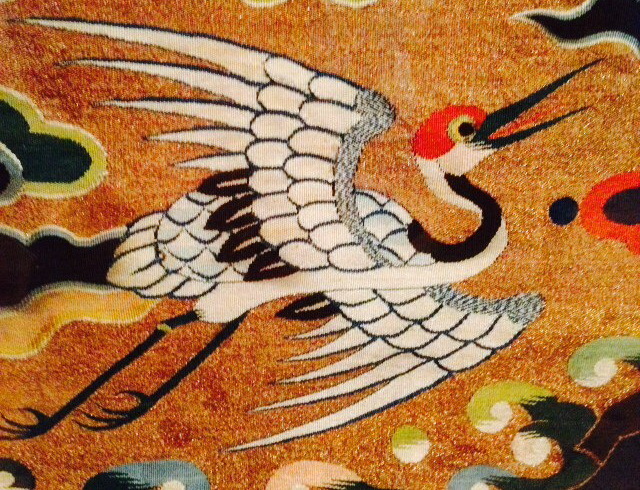 There was no name or pattern, but that did not deter me as I simply drafted my own, using dimensions of my choice. 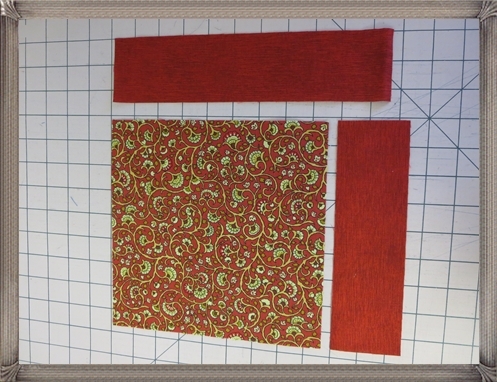 I had some suitable fabrics in my stash so I was able to begin without delay. 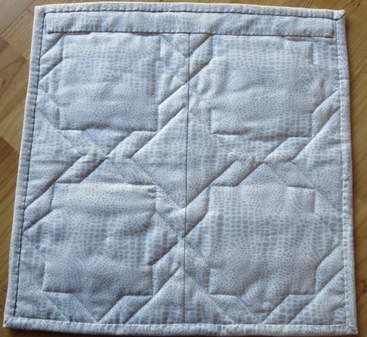 The blocks are simple and require only two seams. 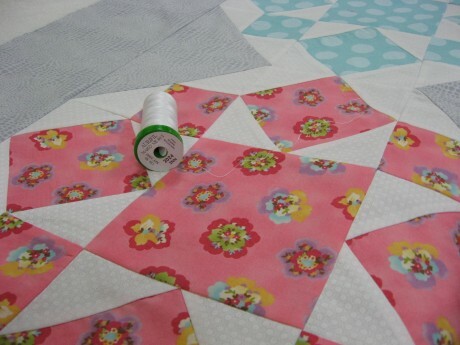 The trickiest thing is to ensure the correct orientation of all the blocks once they are pieced. Check and check and check before joining! 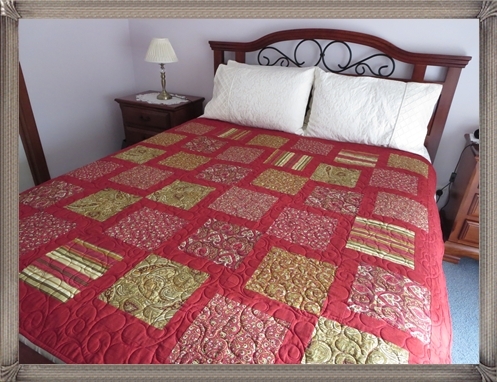 I used the red sashing fabric to add a border around the edge to frame the quilt and bound it in the same fabric to maintain the framed look. In the photo below, I am trialling the position of the blocks and the border. 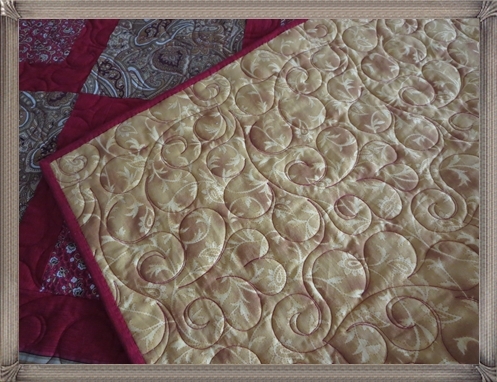 I decided to use an all over quilting design (edge-to-edge) 0n the quilt, in this case I chose Lorien’s “Twirly Feathers”. It’s a really elegant design. 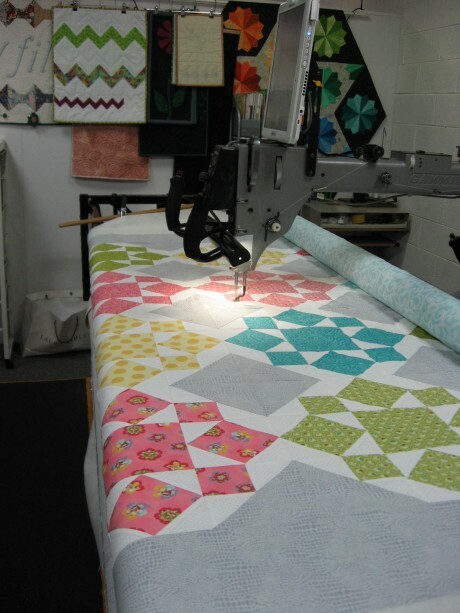 For this type of quilting, I use Aurifil 40 weight thread on my Gammill quilting machine. 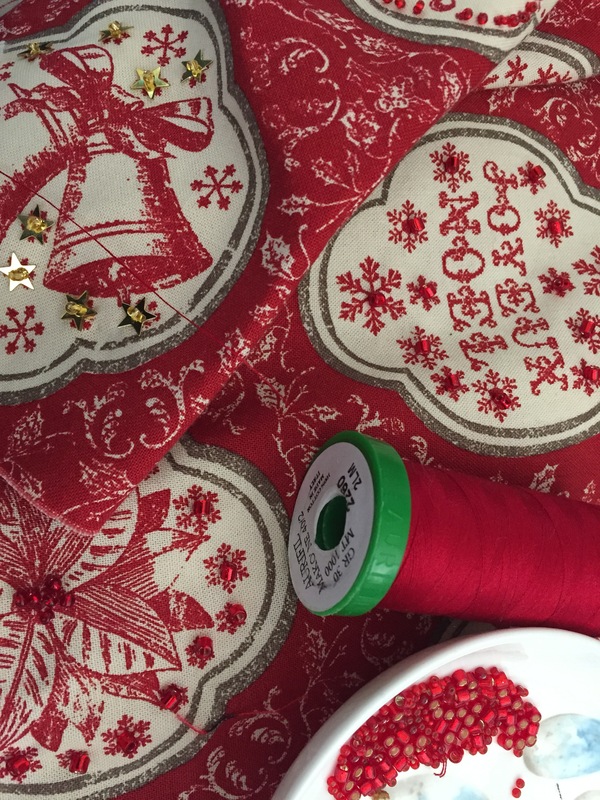 I chose a red thread to match the sashing fabric. 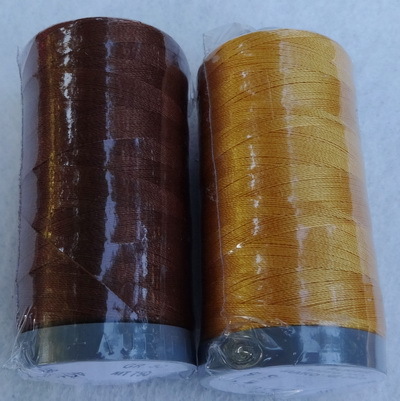 It provides a nice contrast with the gold coloured backing fabric. 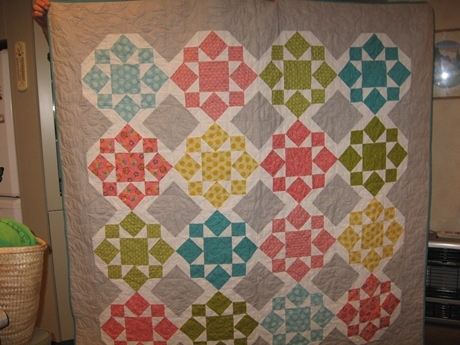 And here is the quilt used as a topper on my bed. I called it “Just Because”………well, just because! While some of my work colleagues have been on holiday this month to warmer climes, I’ve had to put up with cold Melbourne weather with only the occasional breaks in cold Melbourne temperatures. 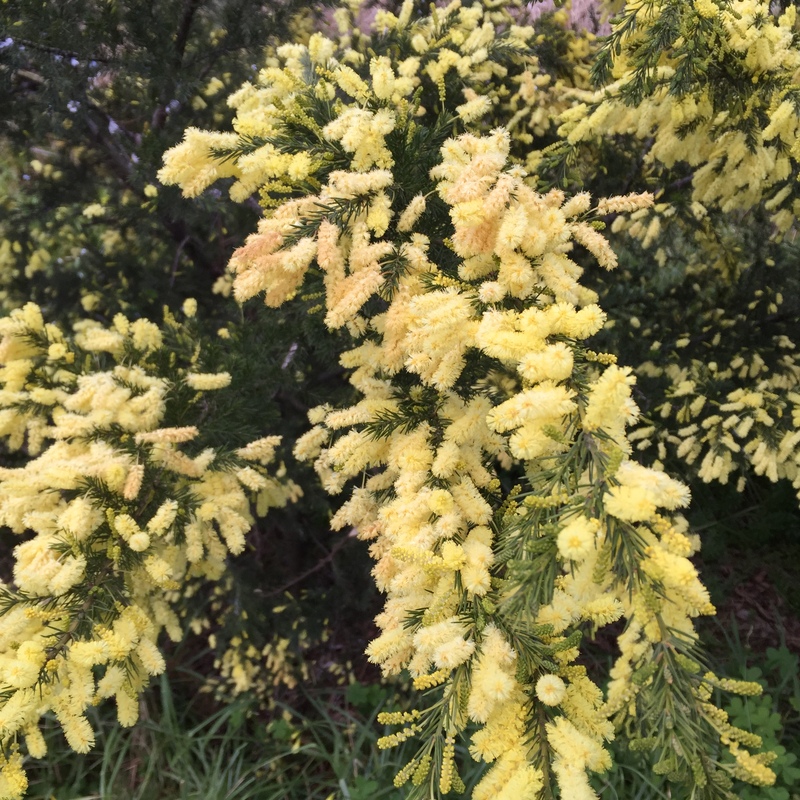 enough for the hay fever sufferers reach for their tissues and medications. 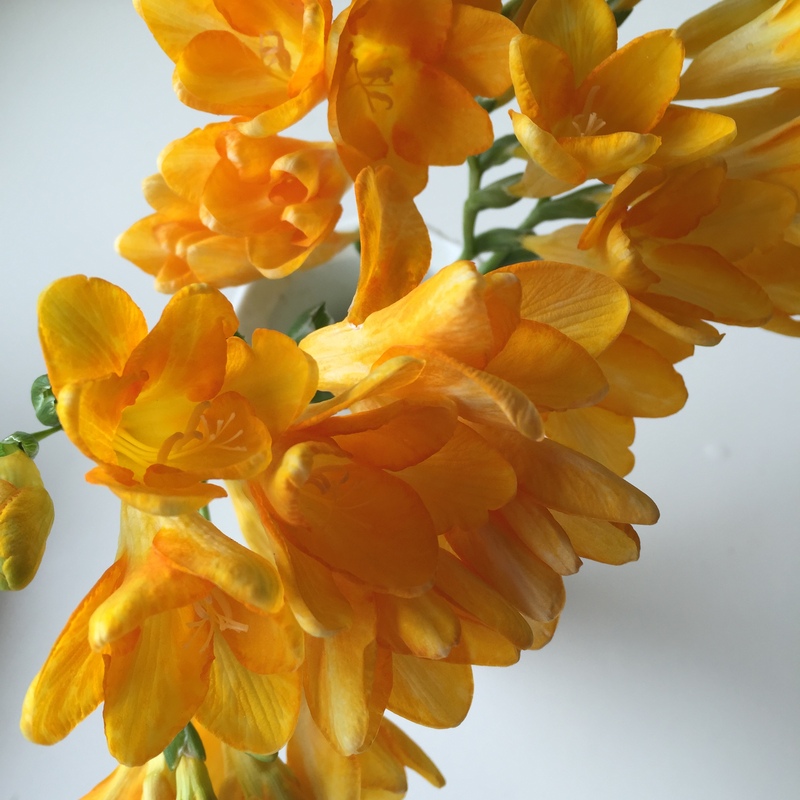 So, I haven’t got much to show for this month’s blog – other than some sewing. My colleagues, will of course, have blog entries from all sorts of travel locations in the following weeks! (sense a little envy here on my part?!). 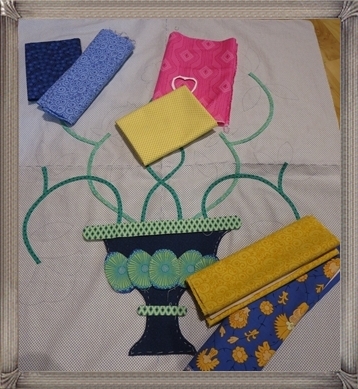 All in all, I think I have done a little bit of work this month – but the pile of unfinished items still seems to grow! 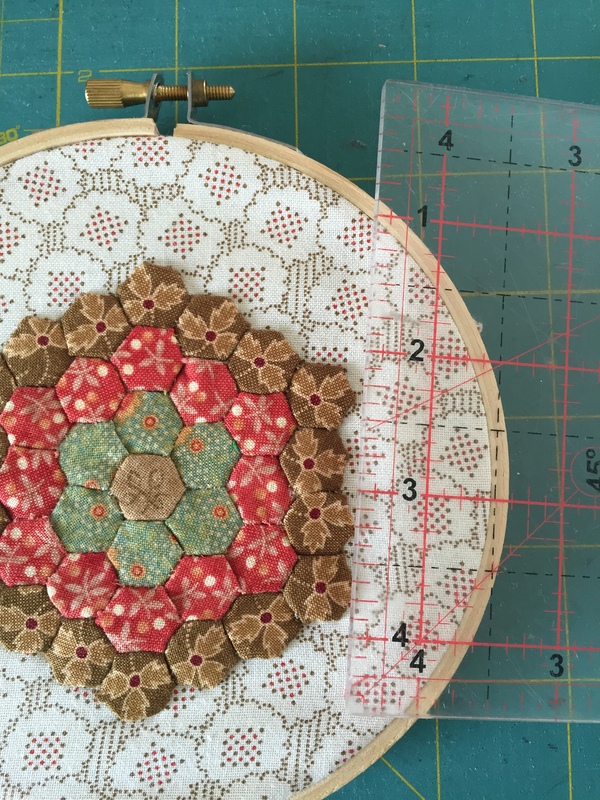 Karen and Wendy’s Joint Venture in Quilting: a MYSTERY Quilt-Along!